It's easier than ever to save cash with Kemi vacation packages on Expedia. You'll have more time to arrange the fun stuff — and more cash to splash! Receive savings of as much as C$590* with a package deal on Expedia. In a matter of minutes, you'll be able to arrange everything you'll need for your next vacation using our exhaustive database. And — with more than 400 partner airlines and 321,000 properties from across the world, you'll have the flexibility to pick and choose! Rest assured that you may cancel almost any hotel reservation and you won't pay a cancellation fee to us. It can be enjoyable to just stroll around the streets when you're in a new destination, but sometimes it's a wise move to have a plan. 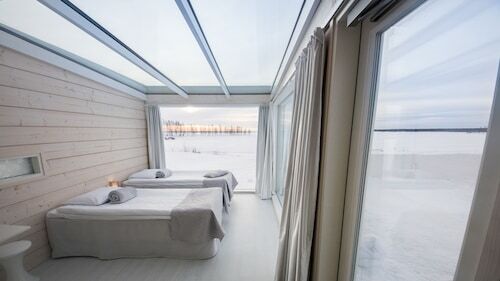 Grab your travel program — we have loads of fantastic ideas for your forthcoming Kemi vacation. Sure, sourcing your travel tips off the internet is a breeze, but don't be too shocked if that "secret beach" isn't as idyllic as they say it is. For the best sights and sounds in Kemi, not much beats asking the locals. Want to make some amazing memories? A trip away is the perfect time to throw yourself into exciting new experiences. To check out a comprehensive list of activities, go to our Kemi things to do page. 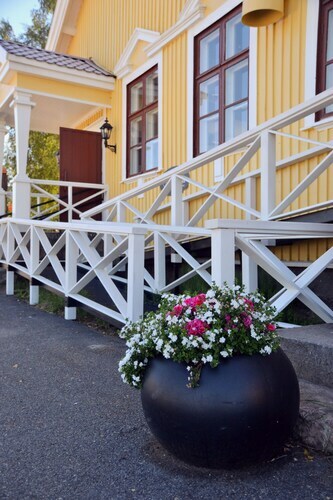 As there are no Kemi properties registered with Expedia, some people find it convenient to stay in Keminmaa, which lies around 16 miles (26 km) away. 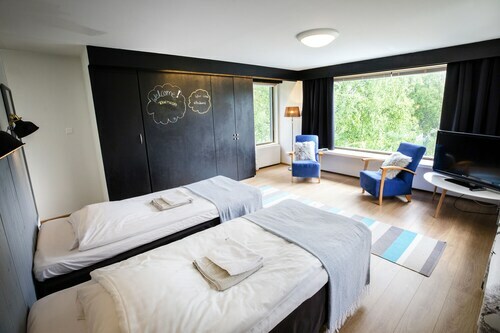 The best options in Keminmaa are the Cumulus City Kemi, Hotel Merihovi and Hotelli Yöpuu. If your planning on arriving by plane, you'll probably be disembarking at Kemi - Tornio Airport (KEM). After you've grabbed your baggage and wandered out of terminal, downtown Kemi will be 14 miles (23 km) away. 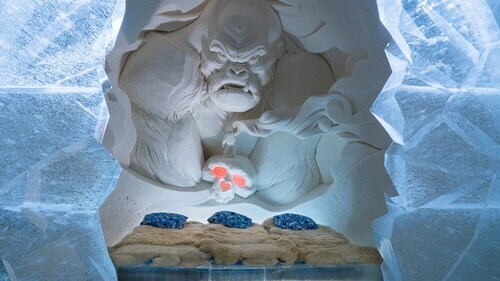 Marvel at the unique architecture and majestic sculptures displayed at one of the biggest ice structures in the world. Situated in Kemi, this hotel is 1.2 mi (1.9 km) from Kemin Golf Club. Kemi Station is 12 minutes by foot. Located in the heart of Kemi, this golf hotel is within 1 mi (2 km) of Kemi Marina and Kemi Snow Castle. Kemin Golf Club is 1.2 mi (1.9 km) away. Kemi Station is 8 minutes by foot. Situated near the beach, this hotel is within 1 mi (2 km) of Kemi Marina and Kemi Snow Castle. Kemin Golf Club is 1.6 mi (2.6 km) away. Kemi Station is 10 minutes by foot. 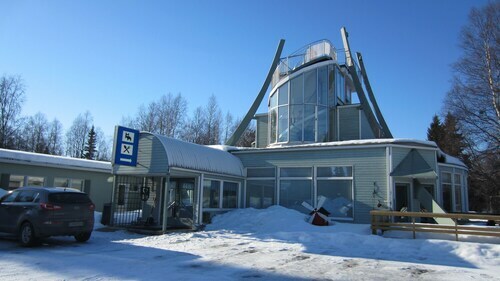 Situated in Kemi, this hostal is within a 15-minute walk of Kemi Marina and Kemi Snow Castle. Kemin Golf Club is 1.4 mi (2.3 km) away. Kemi Station is 5 minutes by foot. Situated on the waterfront, this villa is within a 15-minute walk of Kemi Marina and Kemi Snow Castle. Kemin Golf Club is 2.2 mi (3.5 km) away. Kemi Station is 20 minutes by foot. 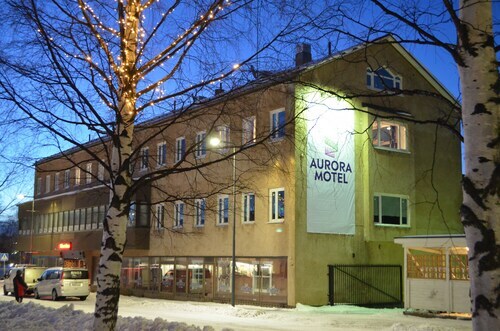 Situated in Kemi, this hotel is within 1 mi (2 km) of Kemi Marina and Kemi Snow Castle. Kemin Golf Club is 2.2 mi (3.6 km) away. Kemi Station is 21 minutes by foot. Situated near the beach, this hotel is within 1 mi (2 km) of Kemi Marina and Kemi Snow Castle. Kemin Golf Club is 1.3 mi (2.2 km) away. Kemi Station is only a 2-minute walk. Situated by the sea, this hotel is 2.5 mi (4 km) from Kemin Golf Club and 2.6 mi (4.1 km) from Kemi Snow Castle. Kemi Marina is 2.6 mi (4.2 km) away. Mon., 8 Jul. - Thu., 25 Jul. Sun., 14 Jul. - Thu., 25 Jul. Mon., 8 Jul. - Wed., 24 Jul. Fri., 12 Jul. - Thu., 25 Jul.